Rethinking Faith and Church: Have You Ever Questioned Church? Thank you for posting this, and thank you for contributing to the book. Your chapter is fantastic, and I hope lots of people read what you had to say! Thank you, Jeremy. You're too kind. Blessings on you, my friend (and I truly mean that). Clearly put, Will. This is something that needs to be said often, non-confrontationally, and shared as widely as possible. In many ways you in the USA are far ahead of us here in the UK. But even here there are significant numbers no longer involved in organisations but just being church. It's good to have blogs and books to point them too, especially the most recent leavers who are often upset and anxious and alone following a process that can, sometimes, be quite traumatic. Bless them all - and those that stay in the organisations too. We all belong to Christ! "Bless them all - and those that stay in the organisations too. We all belong to Christ!" Amen to that, Chris. Amen. Thanks for sharing. I appreciate the comment and we all could do with the reminder. Though personally I haven't been a part of institutional Christianity for many years, I still fellowship with those who are whenever and wherever possible. Peace & Blessings, my friend. We are COMMANDED to meet SOMEWHERE each week in fellowship with others who believe in the WHOLE Bible, however. We will NEVER always agree on everything. Right now, I am having a problem finding a church that believes in the WHOLE Bible--as well as one that doesn't blow your eardrums off with loud music & repititious songs over & and over!! Friend, I would beg to differ about your "COMMANDED to meet SOMEWHERE each week in fellowship with others who believe in the WHOLE Bible." I have yet to find that in the New Testament. True fellowship is important, and the early church did meet "daily," but it was not in an institutional church as we have often misinterpreted it to be. The only command, if you will, is Jesus' Greatest Commandment to LOVE (Matthew 22: 37-40). I suggest that if you and I learn to do that, then everything else falls into place perfectly where it needs to be. 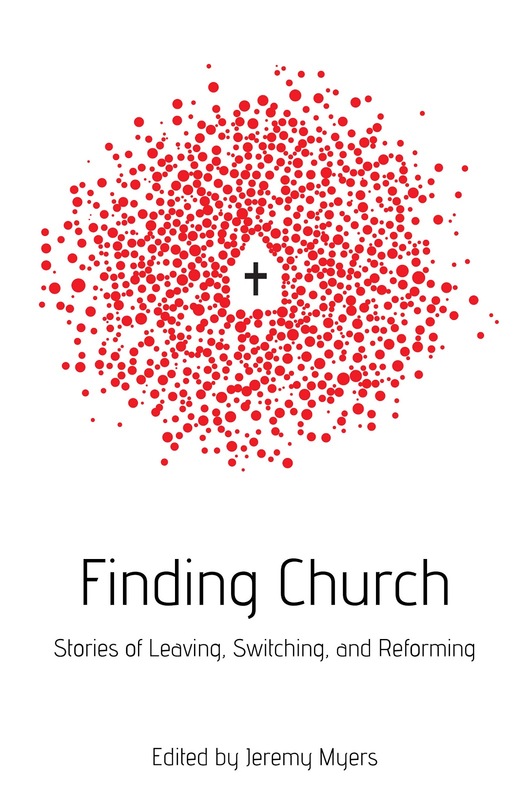 As for "finding a church," I would add some food for thought. There is but ONE church, and that is the one Jesus died for and is coming back again for. Having said that, maybe the answer isn't looking for a church as much as it is "being" the church. 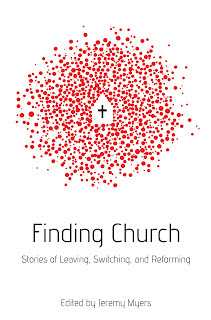 I have just purchased the book Finding Church after perusing this blog. About a decade or so ago, as a pastor I began preaching a Born Again Believer can not go to church but must be the Church, for you can not go to what you are, but you must be. Thus was the beginning of a tumultuous and adventurous journey of which I have not reached a final destination. I have been thinking I was quite alone but I have always believed that God's illumination is never singular. Hopefully Finding Church will open further still the Will of God for my life. Thanks friend. May it be a blessing. Peace.